A Medley of Colors and Shapes - No Two Are Alike! New! 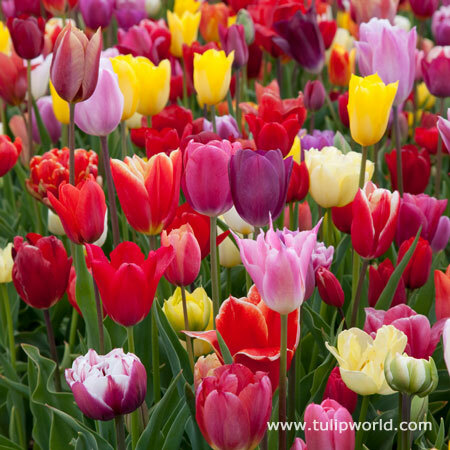 You'll love this fabulous assortment of tulip bulbs, so new they have yet to be named. Every single flower is different - in variety, color and form. Our special tulip breeder has selected many thousands of new seedlings and included the best in this mixture. Just imagine the unique bouquets you can create! This spectacular mix will bloom mid to late spring and are great for cutting.